AllCare/Immediate Care (Bethesda) - Book Appointment Online! One of the biggest drawbacks of primary care appointments is the need to schedule it months in advance with your primary care physician. 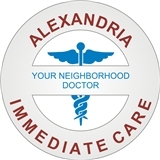 At Alexandria Immediate Care, we overcome the need for months of planning by offering walk-in same day primary care visits at our clinic. All you have to do is walk-in, or call us in advance if you need to be seen on a very tight schedule. As soon as you come in, our physicians and nurses will see to your needs and provide you with a great primary care experience. Please note that all of our patients are seen on a walk in basis, so although zocdoc requires you to choose an appointment time, there may be a wait depending on how many other patients are here when you arrive. Feel free to call with any questions, and we look forward to seeing you. Dr Sedrakyan was the catalyst behind me quitting cigarrettes and also lowering my blood pressure. Im 36 years old and have a much vetter outlook on life. My vitals have also imrpoved overall. Thank yy doctor!! This is my first visit with Dr. Hammett. She was very kind and caring to me. She checked me right away and took time to discuss my symptoms. She explained all that needs to be done. I am very happy to have found such an excellent Doctor. Thank you Dr. Hammett !! I received helpful information for follow-up in the future so that I can take care of myself after my second pregnancy. The doctor was patient and pleasant and she made it easy to discuss any concerns I was having.